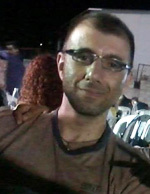 Thrasyvoulos is faculty member at the School of Informatics, Aristotle University of Thessaloniki, Greece. 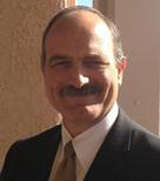 He obtained his Diploma, his Master's Degree and his PhD from the Computer Engineering and Informatics Department of Patras University (Greece). His research interests include Networked Virtual Learning Environments, Internet Technologies in Education, Assessment in Online Educational Environments, Game Based Learning Using New Technologies, Mobile Learning, Cognitive Training Using Information and Communication Technologies, Development of Bio-Feedback Interfaces to Support in The Educational Process and Learning, Design and Development Internet Environments for the Management and Support of Education and Training, Open and Distance Education Using Multimedia and Internet Technologies, Collaborative learning and Distance learning. He has published more than 170 papers in Journals and in well-known refereed conferences and he is author/co-author in 4 books. He has been a PC member and referee in various international journals and conferences. Furthermore, he was conference chair in International Conference on Interactive Mobile Communication, Technologies and Learning (IMCL2014 & IMCL2015). He has participated in more than 40 R&D projects in the area of Learning Technologies. Also, he is IEEE member. 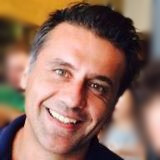 Bill Kapralos is a faculty and Program Director of the Game Development and Entrepreneurship Program at the University of Ontario Institute of Technology, Canada. His current research interests include: serious games, multi-modal virtual environments/reality, the perception of auditory events, and 3D (spatial) sound generation for interactive virtual environments and serious games. He has led several large interdisciplinary and international serious gaming research projects that have included experts from medicine/surgery, and medical education with funding from a variety of government and industry sources. He is currently leading the serious gaming theme within the Social Sciences and Humanities Research Council of Canada (SSHRC) Interactive and Multi-Modal Experience Research Syndicate (IMMERSe) initiative. Bill chaired the 2014 IEEE Games, Entertainment, and Media (GEM) conference, and the ACM FuturePlay International Conference on the Future of Game Design and Technology from 2007-2010. He co-chaired the 2015 IEEE GEM conference, and the ACM Virtual Reality Software and Technology Conference in 2012. He is a past recipient of an IBM Centers for Advanced Studies Faculty Award, a past co-recipient of a Google Faculty Award, and a past recipient of a Natural Sciences and Engineering Research Council of Canada (NSERC) and Japan Society for the Promotion of Science (JSPS) Fellowship to conduct research in Japan. He recently completed a two-month stay at Shizuoka University in Hamamatsu, Japan, as a Visiting Research Fellow and Guest Professor as part of this Fellowship. The threat to mobile security is real. Everyone uses mobile devices for everything - your personal life and relationships and your business as a BYOD. Data is where the money is. Selling compromised data is a multi-billion dollar business and that's why the hackers focus on your mobile device - to get to YOUR data and sell it on the dark web. When your mobile device is compromised, this gives hackers access to information on your personal life which could lead to a compromise of sensitive information about you, your family and your relationships. If you also use your mobile device for business, they gain access to critical business information which could affect the viability and reputation of your company and, potentially, your clients. Companies that build devices are investing heavily in new architectures to help enhance the security used to control the access to your mobile device. They're doing so because many of today's architectures are readily accessible through new devices such as smartphones. In this talk we'll review some of the threats, security solutions, hacks and impacts related to today's mobile devices and talk about how this could impact your personal life and your business. Rusty serves as Chairman/CEO of LP3-SecurIT a company providing Secured IT services and Cyber Security Services to help keep Small and Medium sized businesses protected while running their companies in today’s on line world. LP3-SecurIT has focused on making secured IT available to small companies so they can have solid security at an affordable price. Rusty has over 40 years of experience providing rapid systems architecting, performance engineering and security consulting services across DoD (Department of Defense), the IC (Intelligence Community), and Federal organizations. His areas of expertise include adaptive system architectures, computer network operations, information assurance, multi-level security solutions, cross-domain solutions, enterprise collaboration, modeling and simulation, knowledge management, data mining, information sharing, and architectural modernization and transformation. Rusty served as a Director in a very large defense contractor leading the designing and building of new high performance / high security systems at NSA for nine years. As a result of that high-impact work, he was nominated by internal leaders to be on the Director’s Technical Advisory Panel. Also as a result of his work at the agency, the NSA nominated Rusty to become the 2010 Fellow at the Gordon Center at the UCSD School of Engineering. Rusty is also a contributing member and former Vice Chairman of the Executive Board for the UCSD Corporate Affiliates Program (CAP) helping to guide technology and student masters’ programs at UCSD. He also serves on the Engineering Advisory Council and the Cyber Technical Advisory Panel for National University which is an NSA accredited Center of Academic Excellence in Cyber Security. LP3 culture fully supports community involvement and support to warfighters and veterans. As a veteran, Mr. Sailors leverages much of his military and post-military experience in serving as the Battalion Chief for Special Operations for volunteer fire and rescue response in the wildland-urban interface in the hills and mountainous areas North East of the city of San Diego. In this first responder role, Chief Sailors supports the First Responder Advisory Panel for ARCSAFE.